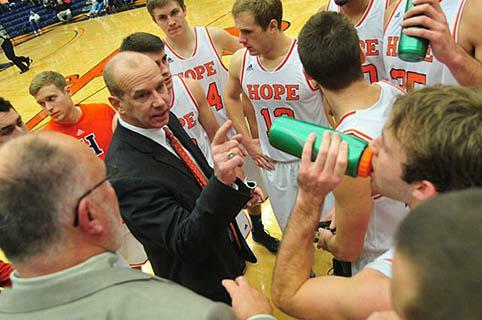 The first Hope Hoops Club luncheon of the 2013-14 Hope College basketball season will be held on Monday, Jan. 6, beginning at noon at the Maas Center on campus. The Hoops Club luncheons have become a Hope College basketball tradition. They feature coaches Matt Neil and Brian Morehouse, their staffs and members of the teams. Video highlights are shown of previous week’s action and upcoming opponents are previewed. Prizes are given away. Lou Hallacy of Holland will serve as chair of the luncheon. The luncheons are open to the public. No advance registrations are needed. They cost $9.75.